We also offer Organic Cupcakes! 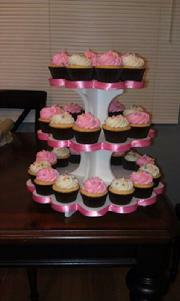 Single boxed cupcake with ribbon in your color choice. Favors can be customized with a personalized edible fondant decoration, corporate logo or design. The perfect way to impress your guests after any party or event!